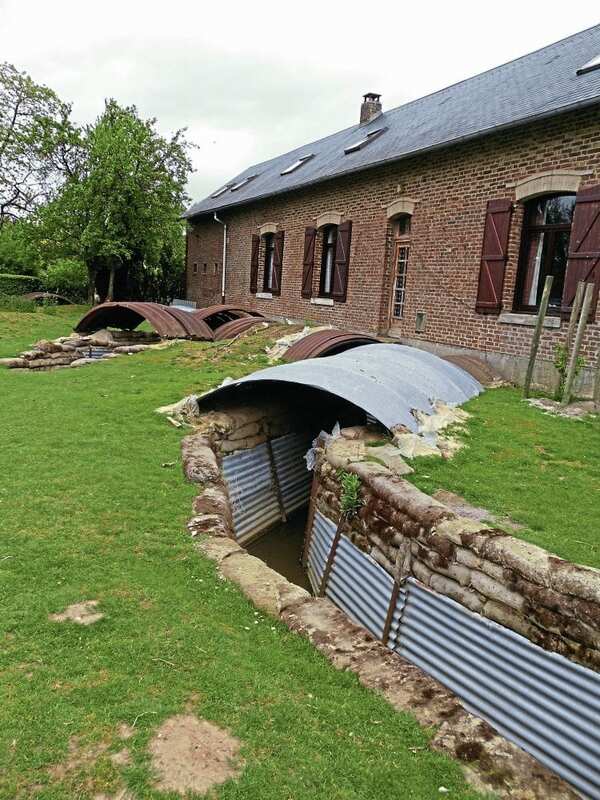 A trip to the battle sites of Northern France is always a good topic of conversation for bikers as they sip ale in the cosy confines of the local pub. It’s not as far away as the Alps and certainly not as risky as a trip across the Andes. Nor is it lacking in prospective places to visit – but what do you target first? I settled on Picardy, which includes the Somme, Flanders and a special corner of Belgium. None of these sites are too far apart and all of them have something special for the visitor, whatever your creed. I plotted a back roads route where the roads were all but empty and the gentle hills offered a few hairpins on both sides. 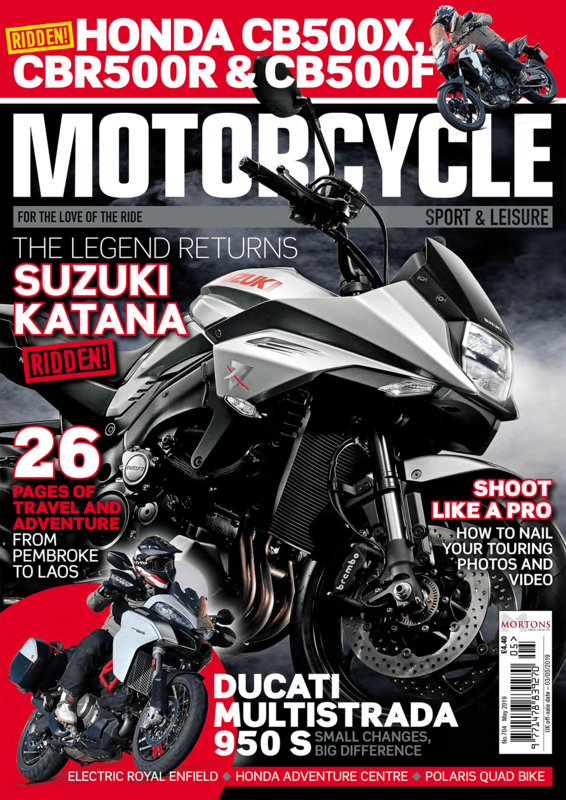 There’s little need for breaking the speed limit as the roads and scenery are there to be savoured, not savaged. 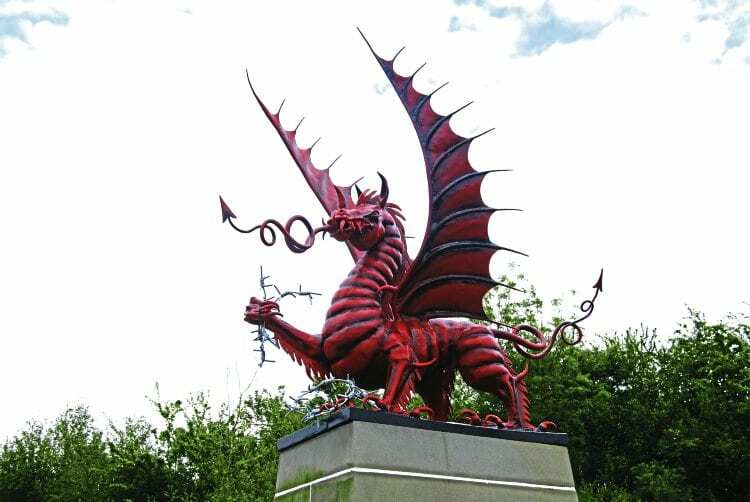 If you’re Welsh, Mametz is the best starting point. The battles that raged here will give you much food for thought about the pointless loss of life for what seems little more than a field and a stretch of woodland. It always stuns me into deep, reflective thought. Canadian troops have a caribou statue – guess whose this is? From here, it’s not far to Delville Wood. 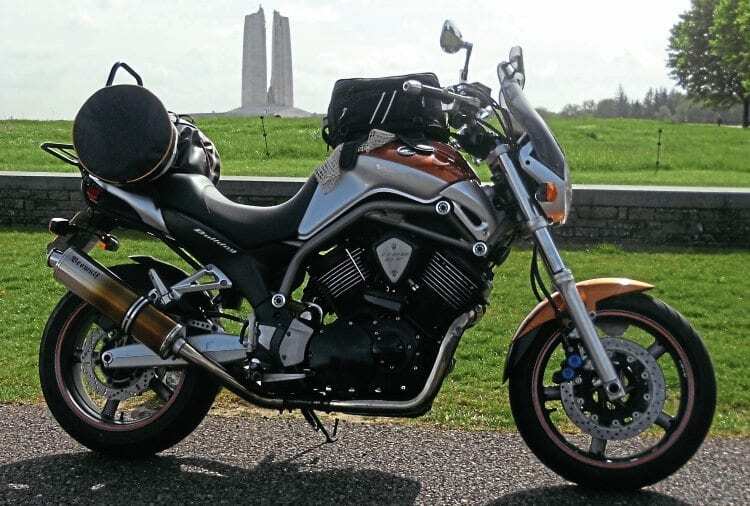 I was on my Yamaha Bulldog, but my wife’s family had come too, by car, so that they could lay a wreath to lay at the headstone of their relative. There was a solemn but not morbid moment as four generations stood behind the headstone for a photograph. 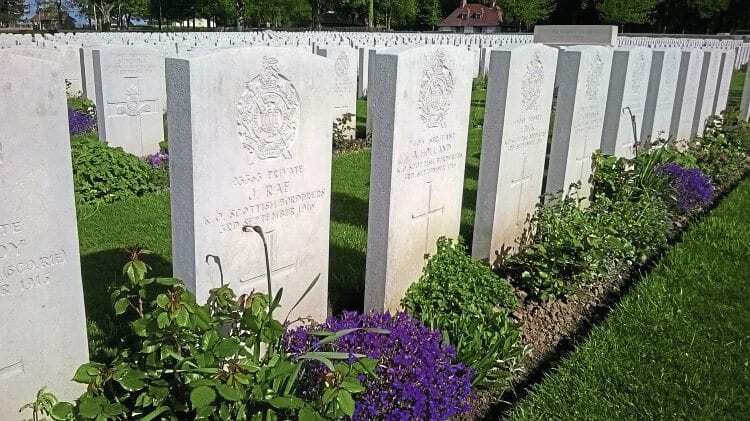 War graves at Delville Wood. Directly across the road is the South African memorial building, commemorating other troops who fell here. Now it’s surrounded by a forest where bird song fills the air and the ground is sprinkled with bluebells and cornflowers. Only the grass mounds between the trees – the remains of shell holes and dugouts – hint that Delville Wood was a very different place 100 years ago. 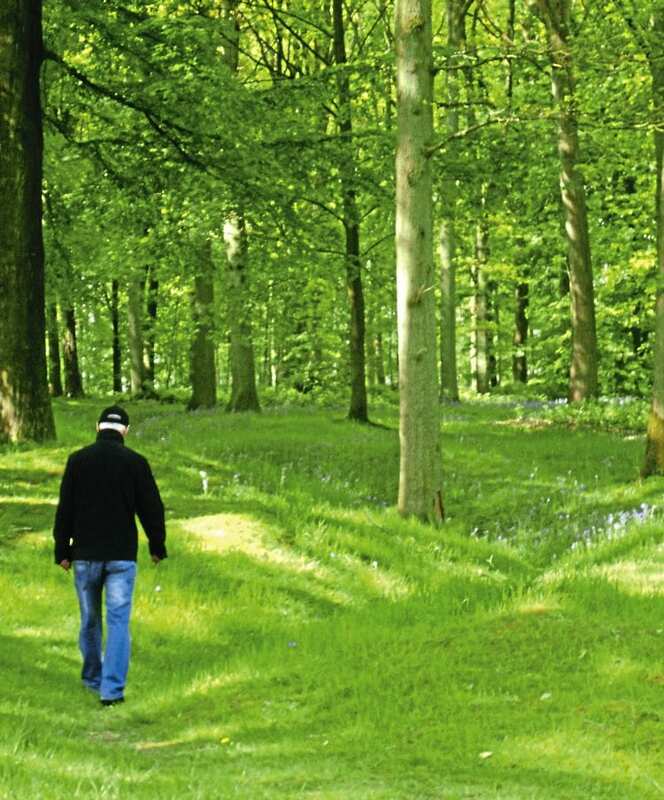 Delville Wood – very different now to 100 years ago. I headed a little way back towards Albert and the Lochnagar Crater, found at the end of a short track as a fenced-off area protecting visitors from slipping down into a crater the size of a town centre. It’s over 30m deep too, and you realise it’s no wonder the blast of the explosion which created it could be heard as far away as London. While the Germans watched the surrounding landscape for attackers, the British burrowed underneath their depot and set off 60,000lb of explosives, taking several hundred tonnes of soil with it. From here you can see the golden top of the cathedral in Albert. The Germans used it for sighting and distance practice for their big guns. No wonder it was deemed necessary to take this holding out by any means possible. 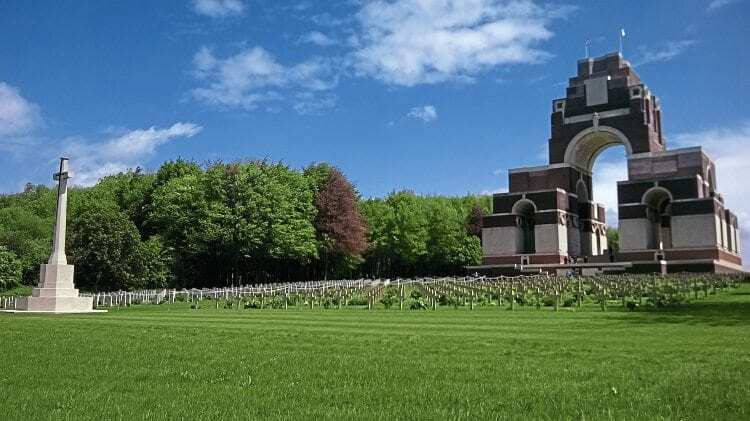 Thiepval isn’t far away, though I nearly didn’t make it, having to screech to a halt as a van came haring round the bend on the wrong side of the road. The driver swerved at the very last moment to avoid a head on collision and all he could do was wave sheepishly in apology, as he probably soiled his trousers at the same time. He must have driven at least a mile along the road from Thiepval as there are no side roads along that stretch. The van had a British number plate – easy to forget which side you should be on when the roads are so much quieter than in the UK. Thiepval memorial is massive and very distinctive, visible for miles around and designed by Sir Edwin Lutyens who also built the Cenotaph in London. Its walls display the names of 72,000 British and South African soldiers who fell at the Somme. 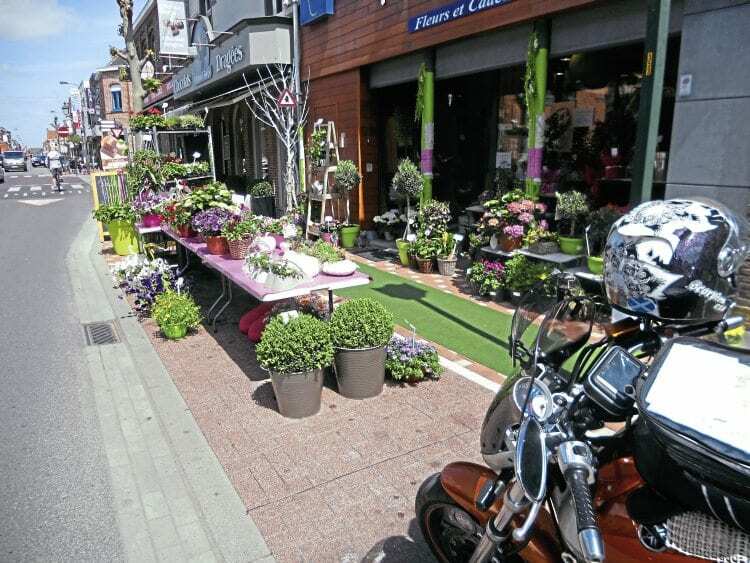 Thiepville – ugly perhaps, but you can’t help being impressed. Coffee and cake at a local café (British run) kept us going to the next location, the Ulster Regiments’ memorial at Memorial Irlandais. This is a fine building with wreaths and coats of arms of all the Ulster forces that fought here, and I spent quite a while here reading the plaques and notes. Blighty Cafe includes reconstructed trenches. 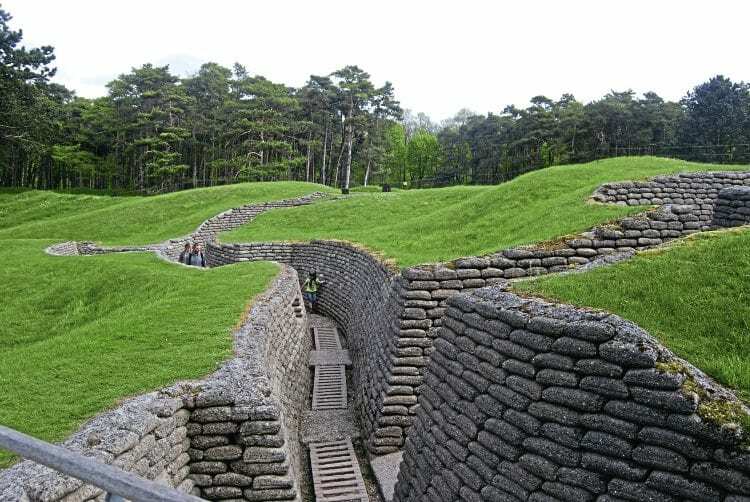 Zig-zag channels reveal where many of the trenches were dug. A ravine at the very bottom of this site tells you how murderous it was to even attempt to cross this field. A circuitous path takes you down to the bottom and a cemetery dedicated to Scottish soldiers, before you walk back to the caribou statue through a beautiful avenue of trees. Just as at Delville, the landscape belies the stark and destroyed land that must have lay fallow for decades after all those bombs and shells reshaped the meadows. Sanitised history, but they give you an idea of what the trenches were like.